This church flower decoration is going to be finished with greens . . . almost! I added in one more using bright green plumosa. 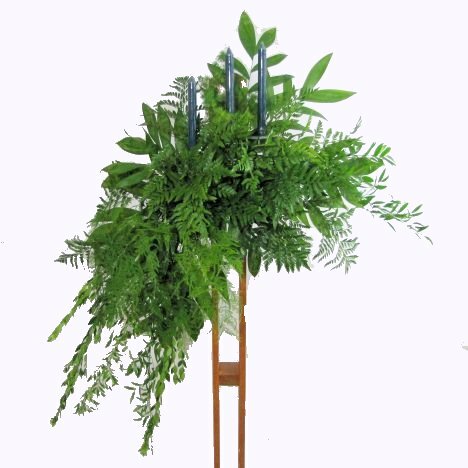 This feathery trailing fern gives a wispy finish to the greening of this church candelabra. The only downside is that the stems have very tiny, invisible thorns that can snag on dress fabric and embed themselves in fingers. 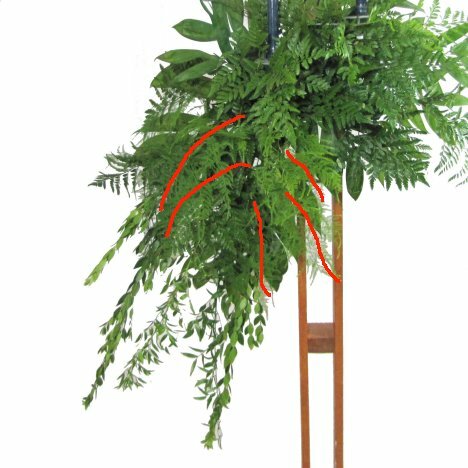 If you want a similar look, investigate tree fern. 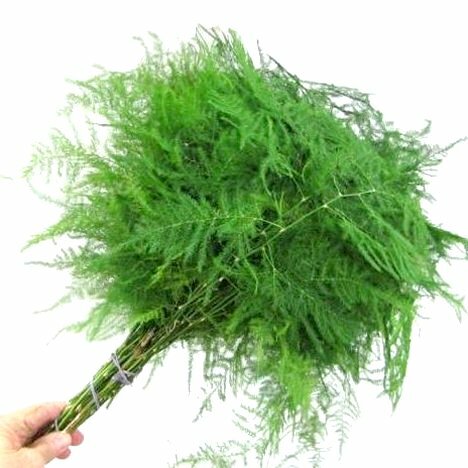 I like it for corsage, bouquet and boutonniere work, but used plumosa on this design because of the trailing effect. Insert a few stems here and there, wherever you need to "fill in" the final design. Now you have a design that is beautiful as it is right now - even without adding flowers! This is generally where I stop until I transport the floral designs, finishing up the flowering portion quickly after I set the stands in place. Greens are very forgiving, thus you can crowd them together or lightly placed on top of each other in the delivery vehicle. Flowers are not so forgiving and blossoms can be easily bruised or snapped off if they don't have enough space during delivery. Once the design in completely greened in, I use a product called Leaf Shine to spray on the greens.. Many greens have splotchy white residue from hard water and a dirty look from pollen and dirt from the fields. 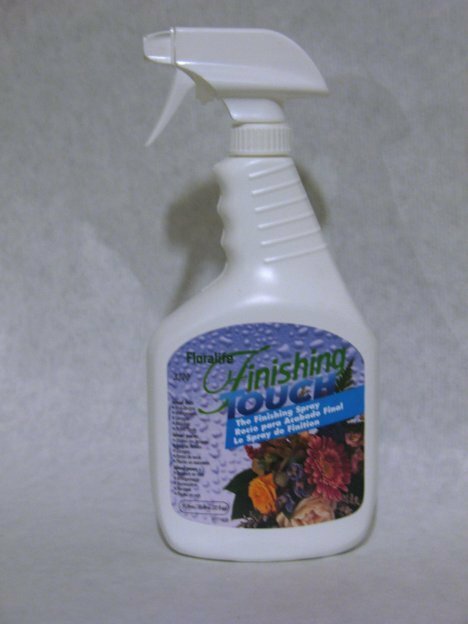 Leaf Shine cleans this off and leaves a clean, glossy finish. 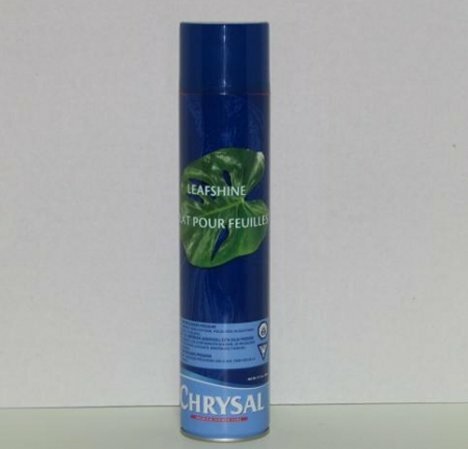 Do not spray this on your fresh flowers. Use it before adding any blossoms. 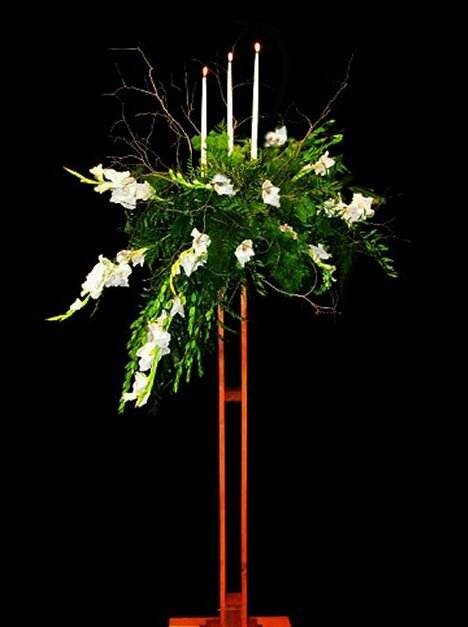 This final design was filled in with birch branches and about 6 - 7 stems of white gladiolus. This versatile flower comes in many different color shades and have a big bloom presence for using in front of the church. They can be transported to the church and added quickly to the design after placement. Spray Finishing Touch or Crowning Glory on your complete floral. This product seals the petals, locking the moisture into the petals and extending their freshness. This helps counter air conditioning, which is designed to pull moisture out of the air, causing flowers to begin to wilt and turn transparent more quickly. I use this product on all my designs, including any church decorations, bouquets, corsages and boutonnieres. Check out more free tutorials for bridal bouquets, corsages, boutonnieres, reception centerpieces and all church decorations.